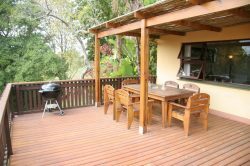 Garden Cottage 1 is a spacious two bedroom, two bathroom self catering Garden Cottage overlooking the Outeniqua Mountains. Garden Cottage 1 has a private patio with Braai (barbeque), and the fully equipped kitchen allows you the freedom to do your own catering. 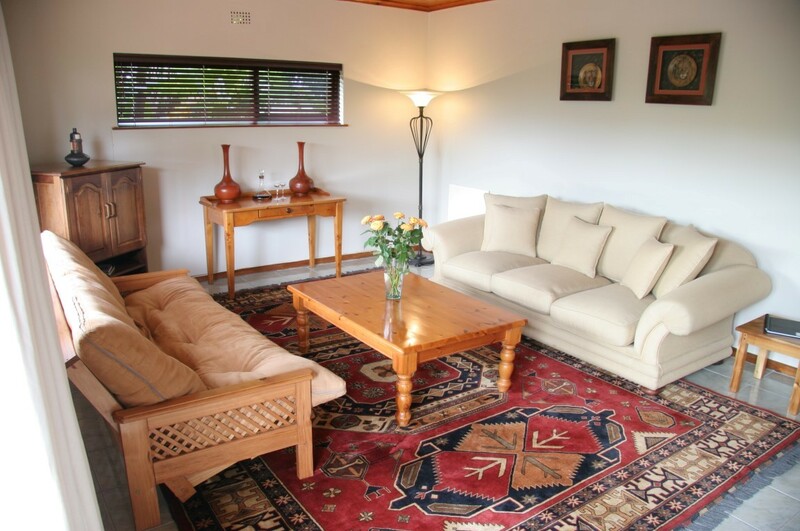 The comfortable lounge provides a relaxing environment after a busy day of Garden Route activities. 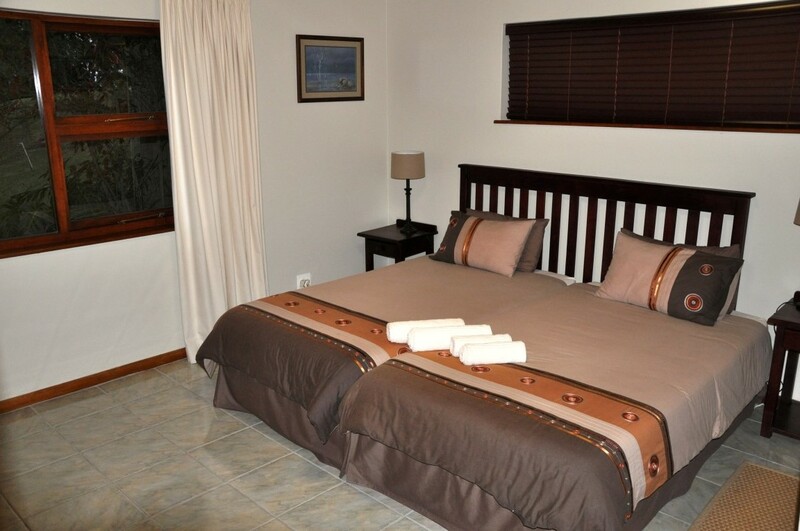 The Main bedroom has a en-suite bathroom (shower only) has a king size bed. The second bedroom with separate bathroom (bath with shower over) has twin beds. Television SABC 1, 2, 3, Mnet and eTV. Garden Cottage 1 was not part of the original development of the property. The first owner, Doctor von Brandis needed additional space for his medical practise and built what is now our Garden Cottage 1. 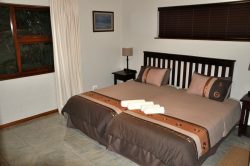 Garden Cottage 1 is a free standing unit that offers guests privacy yet only 40 metres from the main guest house amenities and swimming pool.